Have you ever heard of Magic Cream Pie? It’s been around for what feels like forever, made by one family member or another. 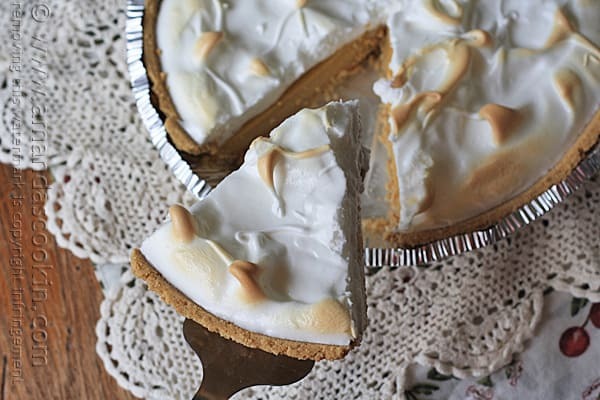 You can take the original recipe and change the flavors, like I did with this butterscotch version. I asked a neighbor to taste test it for me, and it passed with flying colors! 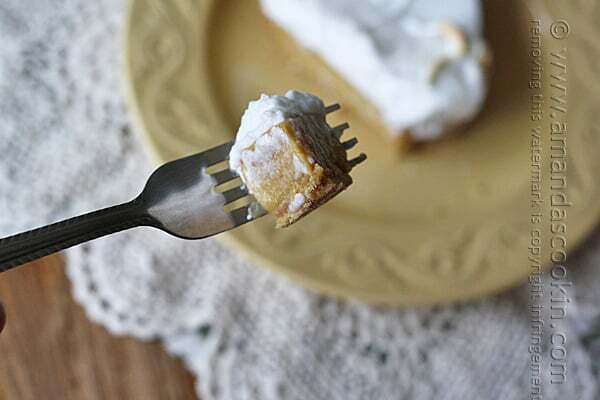 If butterscotch isn’t your thing, start with a vanilla cream pie and go from there. What other flavors of magic cream pie are there? If you check out the recipe below, you will find variations for coconut, chocolate, banana, fruit and even a Tutti Fruit pie! Making a magic cream pie is actually pretty easy. You’ll combine the filling ingredients in a saucepan over low heat then temper a few egg yolks in. It’s not hard, just work slowly. 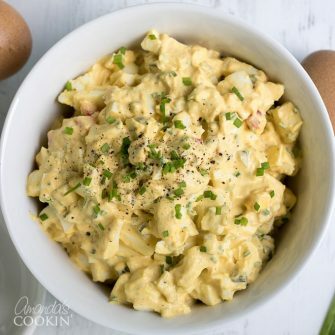 The idea is that you don’t want to dump the yolks into a hot mixture because they will cook. Instead you dribble them in slowly, whisking all the while, which is called tempering. That way the eggs gradually heat up with the filling mixture and it becomes custard. After that you’ll pour the filling into the crust and let it cool, that’s it! Meringue is actually pretty easy too. 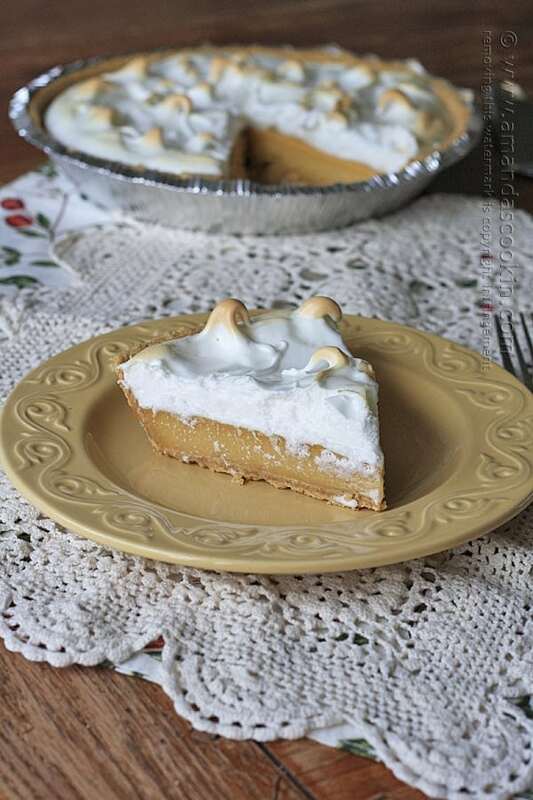 You just whip the whites with your mixer, plop it on top of the pie, use a spoon to create peaks and brown it in the oven on high heat for a few minutes. And it’s so pretty! Ready to give it a go? 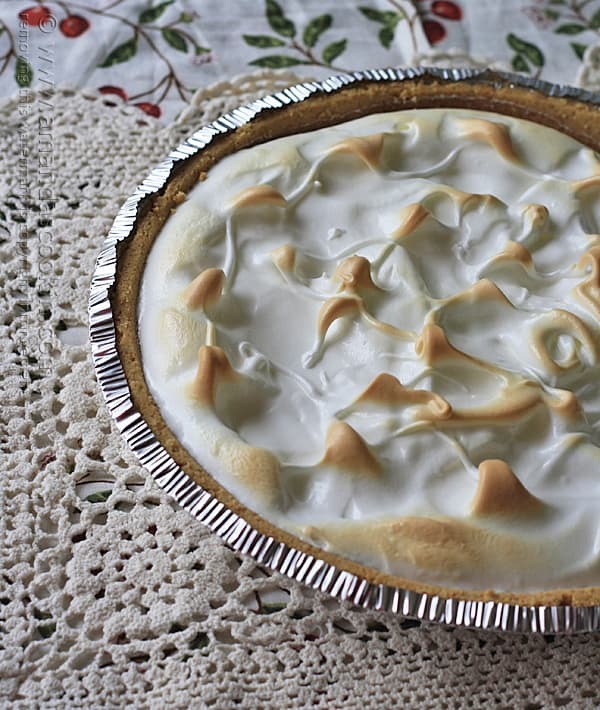 Head over to Recipe Lion for the Magic Cream Pie recipe and all the flavor variations! How have I not had Magic Pie before?? How awesome! It’s definitely one of those “stood the test of time” recipes!